Author: Pyper, Andrew Set In . . . Description: This spellbinding literary ghost story won raves when it was first published in 2000, with The Boston Globe hailing Bartholomew Crane as "a protagonist for the new millennium" and The New York Times declaring, "Everything about this dark, disquieting story confounds expectations." When hotshot young attorney Barth Crane is shipped off into the backwoods town of Murdoch, Ontario to try his first murder case, nothing is as it seems. First of all, there are no bodies. Two teenage girls have disappeared and although their bodies have not been found, their English teacher has been arrested and charged with murder. Crane, a city lawyer with a burgeoning cocaine problem and disdain for the bumbling townspeople, is convinced he can successfully defend his client, Thomas Tripp, in the absence of hard evidence—let alone a body. But Tripp is not forthcoming with his lawyer and the locals are just as wary of Barth Crane as he is of them. 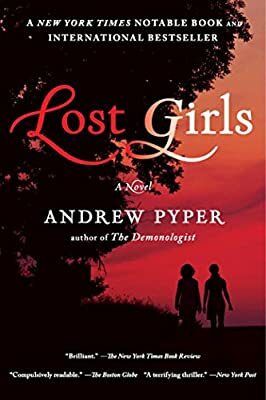 And faced with increasing isolation and whispered legends of the town’s infamous ghost—the Lady of the Lake—not to mention his own drug-fueled paranoia, Crane finds himself less confident as the trial wears on and the lost girls demand to be heard . . . seemingly from beyond the grave.